MY LEADERSHIP HAS BEEN EXCELLENT THROUGHOUT THIS. 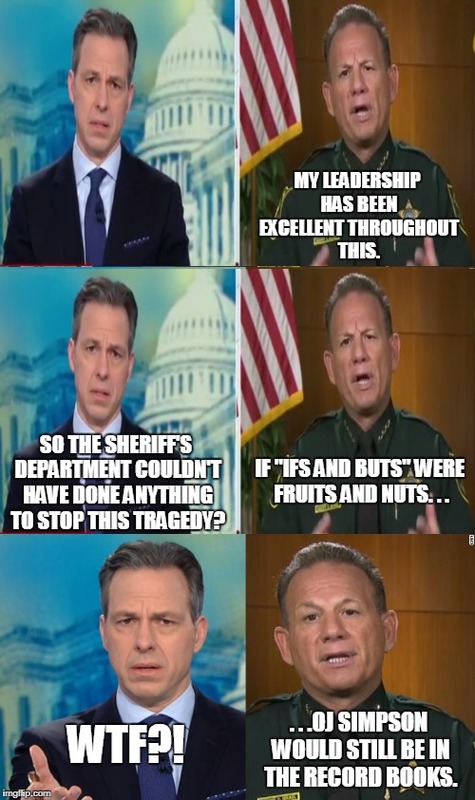 SO THE SHERIFF'S DEPARTMENT COULDN'T HAVE DONE ANYTHING TO STOP THIS TRAGEDY? IF "IFS AND BUTS" WERE FRUITS AND NUTS. . . WTF?! . . .OJ SIMPSON WOULD STILL BE IN THE RECORD BOOKS.